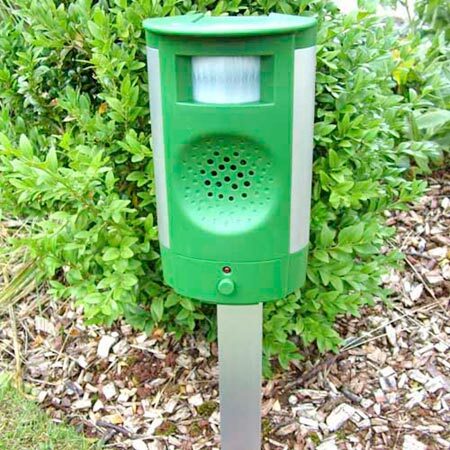 Protect your garden from cat damage and fouling, and protect fish ponds, birds and other garden wildlife! Fully automatic, easy to install, the infra red detector monitors a 98° fan shaped zone up to 12m (39'3") and on detection of movement or body heat emits a two second burst of ultrasound. It effectively deters cats (without harming them), yet has no effect on birds, and other small animals, and is inaudible to humans. The weather proof case measures width 10.8cm (4¼") x height 18.7cm (7¼") x depth 10.3cm (4"). Powered by a 9v battery (not supplied) or recommended mains adaptor.